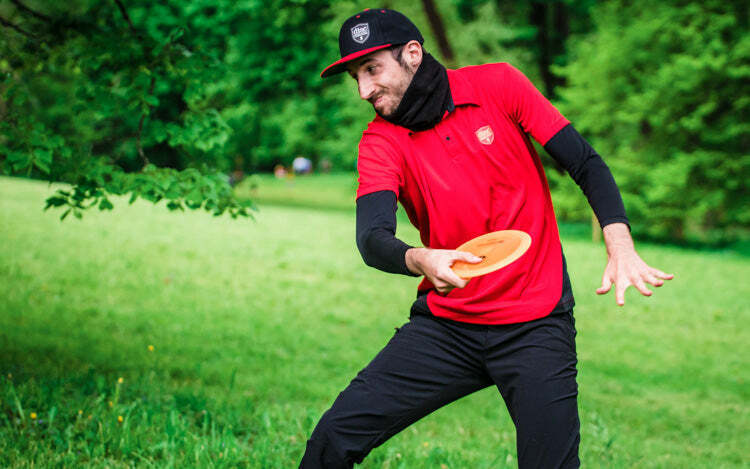 Dominik Stampfer has a goal: increase disc golf’s popularity in Germany. While he certainly isn’t the only person behind that effort, he is certainly leading the way. 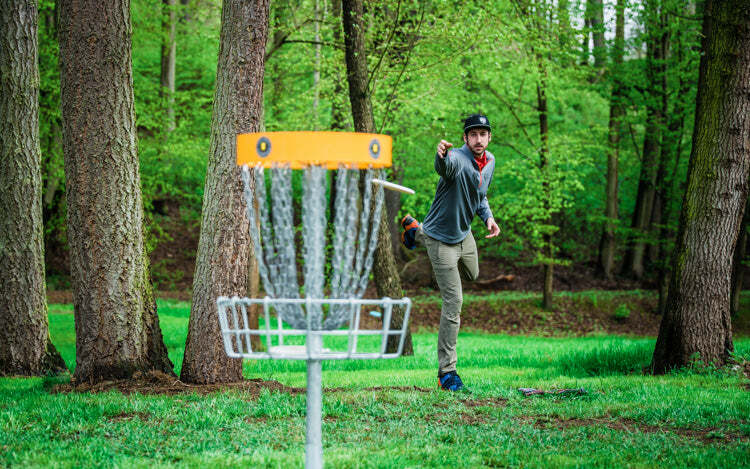 The 2014 German Disc Golf Champion and member of Team Discmania, Stampfer combines his love for disc golf with his career to carve out a life that many would dream about. His 2018 season is off to a strong start thanks to an early win on the European Tour at the Dutch Open. What do you do when you’re not playing disc golf? Well, there’s a lot besides throwing discs, as I am not a professional disc golfer. Since I finished my studies and earned my bachelor’s degree last September, I am working as a Market Manager in a German healthcare company supporting our sales organizations in emerging markets around the globe ranging from Latin America to Asia. It’s very international, diversified, challenging, and the cultural experience is incredible. That brings me to my next point: I really like to travel and to get to know new cultures and the people behind. No doubt that I really like to explore the local food. You also put effort into growing disc golf in Germany. What are you currently doing to achieve this? How is it working? I am the chairman of our local disc golf club and in the past years we tried to promote disc golf in different ways to get more players into to sport. One good example: I am writing around 15-20 articles per year for our website and our local newspaper. We are very lucky, as my hometown is a very sport-centric city – the local newspaper appreciates and prints the articles. However, it is not easy to get new people to the sport for the same reason. Other sports like football, fencing, baseball, basketball, etc... are very popular here. On top of that the local course is 15km outside of the city and we are lacking resources to go to schools to promote the sport. At the moment, I am more focused to a regional development. But I hope to pick up any kind of voluntary position in the German Disc Golf Association in the near future to help to grow the sport nationwide again. Until my studies I was involved to implement our National Tour. Dominik works to tap into the potential that disc golf has in Germany. Photo: Eino Ansio. You started off your season already by winning the Dutch Open couple weeks ago… Congrats! How are you feeling after that? What’s up next? Thank you so much, I really needed that win! This offseason was the hardest and best I’ve had at the same time. I focused less on throwing and more on my physical shape. I changed my nutrition and workout habits and I am in the best shape I have ever been, although I am not at my final goal. The win at the Dutch Open proved I need to continue these habits, as I was struggling the past weeks due to sickness and some work-related stuff. Of course, I made some mistakes during the tournament, especially on the putting green, but that is something I am working on right now. Thanks to the time change it’s possible to practice during the work week. Up next: practice, practice, and more practice! On average, I am trying to get 1.5 practice sessions done per day (throwing, putting, working out, or running). Unfortunately, there is no big tournament planned until the Konopiste Open. Other than that, I will play a German Tour event here and there. Maybe there will be something bigger on short notice. What are your greatest strengths as a competitor? When you think about strengths as a competitor in disc golf, most people think of things like long distance thrower, hitting every putt, been known for a phenomenal sidearm, or flawless technique. Well, these are not the attributes that describe my game. I would describe my strengths as more in the mental aspect of the game. There is always a strategic game plan in my mind when I am entering a tournament round, I know my game and discs very well. I can rely on myself even in rough situations. I have a lot of mental endurance which means that you should never count me out. Besides, I can handle any kind of circumstances, just like the weather, a bad break, or anything else that happens on the course. If you want to hear one of those typical answers, then I would say my approach game or ability to scramble is pretty solid. Dominik has his sights set on Konopiste Open & European Championships. Photo: Eino Ansio. The progress I go through during the year, be it as a disc golfer, in my new job, or in private life. I have set some goals which are extremely ambitious. I think this is the only way you can get the best out of yourself and get out of your comfort zone. I am super excited to see what I achieved at the end of the year. Even by missing your goals, you achieved and learned something for the future. To look back for a second at the end of the year and observe where you’re coming from and what level you reached throughout a year - that’s what motivates me! Do you have a specific goal in 2018? There is no good season ahead without setting an ambitious goal. So, why not going for a big title like German or even European Champion? In fact, the European Championships is the event I look forward the most. Past two events in Switzerland and Finland didn’t go well for me. If I can keep my pace in terms of practice, I am really confident to shoot very well and to take home a good finish. Well, there are many discs that reinvented my game, because we all know, that ‘standstill means a step backwards.’ Nevertheless, this is an easy question: I reinvented my game about three or four years ago when I picked up a C-Line TD from the disc stack in my basement. This disc taught me how to throw a clean shot, it showed me that you don’t need a distance driver to get long distances and the best thing: you can hit every line, backhand or sidearm. I can’t wait to hit those fairways and greens on Franz Ferdinand course in Konopiste. Want to know more? About a year ago we published Dominik's article on the state of German disc golf. It's a good read for anyone interested in the German disc golf scene.